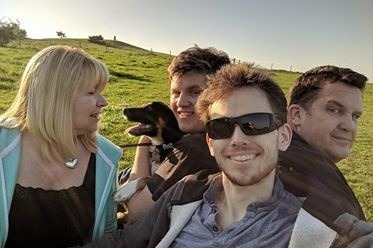 Today, we received the most devastating news, that our son Chris's Leukaemia has returned and that he has at most a couple of months to live. 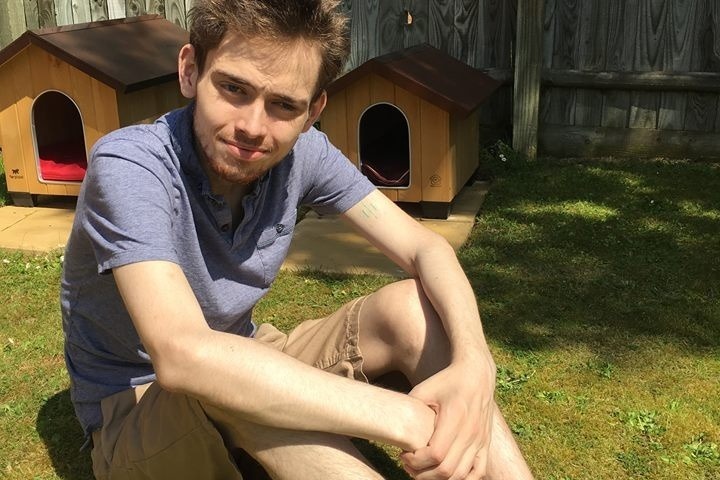 Christopher is 24 and has been on cancer treatment for 9 years at Southampton General Hospital and later, when conventional treatments had been exhausted, he continued fighting by taking part in medical trials at King's College Hospital in London. He has been through 6 relapses and received in total 70 months of treatment. Including; 2 Bone Marrow Transplants, a hip replacement and three highly experimental treatments. He's suffered countless infections, complications, as well as a collapsed shoulder and has spent years in isolation. Chris has had to endure more pain and stress than anybody should ever have to in a lifetime, let alone compressed into a difficult 9 years whilst also growing from a teenager into an adult. Because of his years of treatment and hospitalisation, Chris has missed out on his teenage years and the freedoms and life experiences that come with being a young adult. He's never been free to wonder and travel; never having the opportunity to do the one thing he desired most, to travel and experience different cultures around the world. His biggest wishes have always been to travel to Japan and see Mt. Fuji as well as to see a SpaceX Rocket launch at Cape Canaveral in the US. This is what we are trying to raise money for. Chris would also like to fund a vending machine for patients and family members on the Teenage Cancer Trust's, Teenage and Young Adult unit in Southampton General Hospital, where he received the majority of his treatment. The doctors told us that Chris 's condition is worsening rapidly and if he wanted to go somewhere, now is the time to do it. We understand that you may wish to have verification of this plea. If that is the case, please do not hesitate to email me under Birgy33@hotmail.com, and I will happily give you the contact number or email address from one of Chris's medical team at Southampton General. We know that we are asking a lot, but this young man deserves to have a trip of a lifetime, a last adventure. Time is precious and we would be most grateful for any contributions made. No matter how small. We all only live once, if we do it right, once is enough. Please let us help Chris live his as best as he can. When Mum and I started the campaign on the Tuesday evening after we were told the news, we never imagined that we would actually hit the target, let alone pass it by another £1,000+. We set the target assuming the cost of flights to Japan and the U.S., accommodation and cost of activities while there. Not forgetting to mention the horrendous insurance costs alone just for me to travel abroad; assuming we actually find a company mad enough to actually insure me. On top of all of this, was also my passion project, the Vending machine for the Teenage Cancer Trust, Teenage and Young Adult (TYA) unit me and so many of my friends were and are treated. So, for us to have raised the full amount in 7 days ( i believe it was) just through facebook shares alone with the odd tweet thrown in just absolutely blew me away. So again, I thank you from the bottom of my heart. Unfortunately, due to the fact that i have less than six months, it is not possible for me to get any travel insurance without a written letter from my doctor saying i am medically safe to travel. Which, unless you hadn’t guessed by now, i am not. Due to my unstable blood count I need transfusions twice a week as well us the odd chemo to hold off the Leukaemia as long as possible. So unfortunately that means that I won’t be able to travel to Japan and/or the U.S. (Not unless Elon Musk himself is willing to pay for me to fly to the U.S. to witness a SpaceX launch and cover the cost of any medical costs or of repatriating my body back to the UK [WINK, WINK]). So, what now you ask? Well, i am still planning on making the most of my time, instead I will be travelling Europe, another thing that i’ve always wanted to do. The cities I plan to visit as of yet, include; Paris, Amsterdam, Hamburg, Berlin, Venice and Florence for a couple of days each to allow time for my hospital visits in between. Medically I am well equiped due to my fantastic medical team in Southampton that has provided me with everthing I might need to keep me comfortable. I have already started my adventure this week by visiting the beautiful Guernsey for 5 days, which i can highly recommend. Its beautiful beeches and unspoilt landscape are breathtaking. I will be posting regular updates from now on, so please pop back to see what I am up to. All this is only possible because of you and your generous donations for which I am eternally grateful.